A recent study demonstrated increased rates of celiac disease in women who present with unexplained infertility. Published in the May-June 2011 issue of The Journal of Reproductive Medicine, the study evaluated 191 female patients presenting with infertility. Each participant underwent serologic screening for celiac disease as well as routine infertility testing. The 4 patients who had positive serum test results were advised to seek evaluation with a gastroenterologist. All 4 patients were confirmed to have celiac disease. They then underwent nutritional counseling to change over to a gluten-free diet. Though the study numbers are small, the findings suggest that, at least for some women with infertility, dietary measures may help bolster fertility. 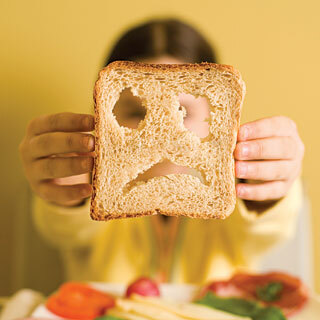 “Diagnosing celiac disease in an infertile woman would be particularly beneficial if the low-cost (and low-risk) therapy of pursuing a gluten-free diet could improve chances for conception,” says lead author Janet Choi, MD, a reproductive endocrinologist at the Center for Women’s Reproductive Care at Columbia University. Co-author Dr. Peter Green, director of the Celiac Disease Center at Columbia University Medical Center, said that these results should be added to the increasing body of knowledge concerning the impact of undiagnosed celiac disease on women’s reproductive health. Choi JM, Lebwohl B, Wang J, Lee SK, Murray JA, Sauer MV, Green PH. Increased prevalence of celiac disease in patients with unexplained infertility in the United States. J Reprod Med. 2011 May-Jun;56(5-6):199-203. Celiac Disease Center at Columbia University Medical Center provides comprehensive medical care for adults and pediatric patients with celiac disease, including nutrition and attention to the multiple associated conditions that occur in celiac disease. The Center is involved in the care of thousands of patients with celiac disease and gluten intolerance, providing better access to proper testing, diagnosis, treatment and follow-up care.